Most of us want a brighter smile. But how much whitening is too much? Would you like a whiter smile? If you said “Yes,” you’re in good company. Surveys show that up to 80% of Americans want whiter teeth. 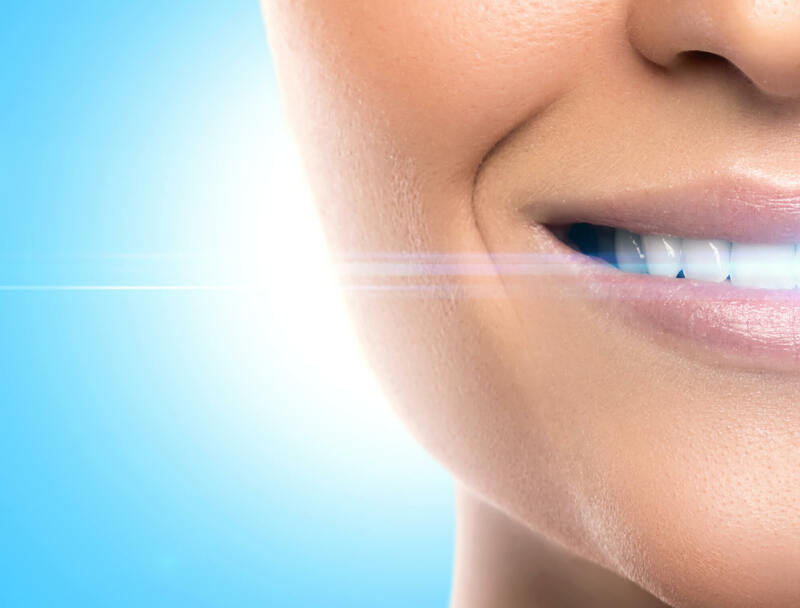 And our actions make it obvious – teeth-whitening is statistically the most common cosmetic procedure in the U.S., according to the American Academy of Cosmetic Dentistry. In fact, we spend an estimated $1.4 billion annually on over-the-counter whitening products. But how much is too much? Ironically, this last symptom has the exact opposite of the desired effect. Over-whitening can damage enamel and expose the darker tooth material beneath. Our tooth enamel is typically several shades lighter than the slightly yellow-ish dentine (tooth material) that it conceals. So the less enamel you have, the darker your teeth will appear. And – as we’ve discussed– keeping your enamel healthy and intact is key to a healthy mouth and smile. So how can you safely go about making your smile as bright as it can be? Keep in mind that many home-whitening offerings are perfectly safe to use if you remember one simple rule: FOLLOW THE DIRECTIONS! These bleaching options usually have Carbamide peroxide as the primary ingredient, and underwent decades of rigorous testing before going to market. They are a perfectly safe and healthy choice, when used as directed. If you’re still uncertain, talk to us at your next appointment. We can let you know which over-the-counter products we recommend, and can offer advice on how to achieve the best, brightest smile possible. We also offer in-office, professional-grade whitening procedures that are safe, effective, and last up to five years. In some cases of long-term or severe teeth stains, the best path to a vibrant smile is through porcelain/composite veneers. These thin covers are bonded to visible tooth surfaces and are a great alternative to bleaching when tooth discoloration is uneven, or is combined with chipped, cracked or teeth that have been worn down. As always, count on Drs. Meyer & Johns to offer you sound advice on achieving your highest level of dental health and aesthetic confidence.